American fashion designer Tommy Hilfiger and actress Zooey Deschanel have recently combined their talents and created a collection of dresses and accessories called “To Tommy From Zooey“. According to Elle Deschanel’s line for Tommy Hilfiger is the perfect embodiment of the actress’s girly ’60s fit-and-flare style mixed with that classic, Tommy, American preppy vibe. 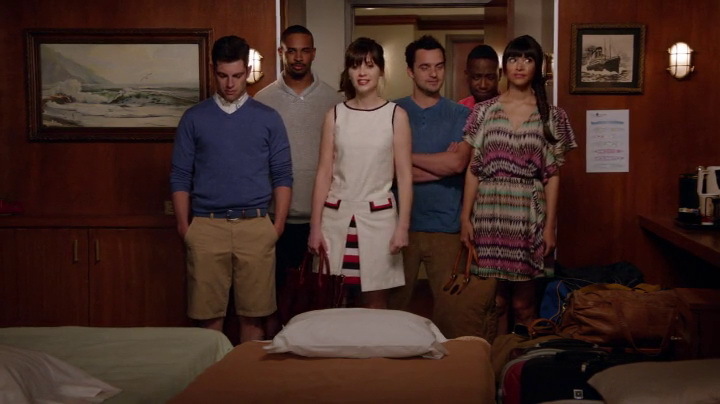 The interesting aspect of this collection happened a few days ago during the New Girl’s season 3 finale. 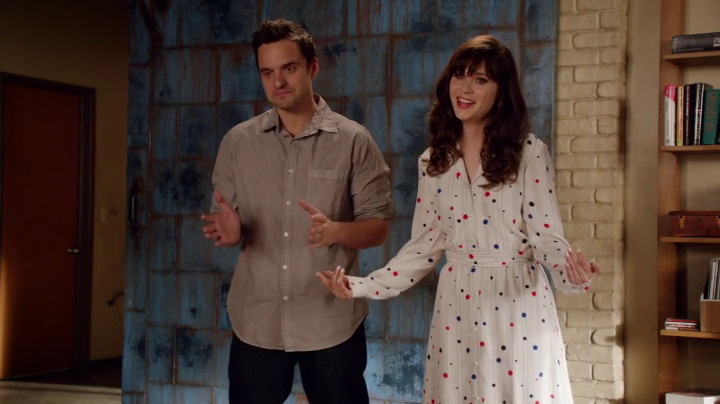 New Girl is of course Zooey Deschanel’s show, although it hasn’t been known for its product placement. Until the season 3, in which they integrated Ford’s cars in several episodes. 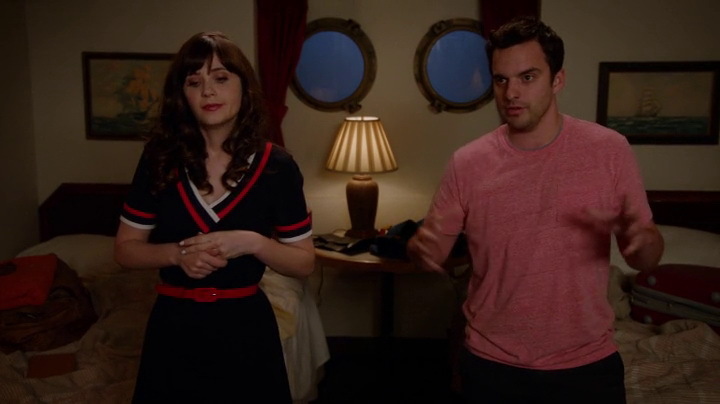 The whole episode ‘Cruise’ was a long presentation of “To Tommy From Zooey” collection. We saw Zooey in several outfits. 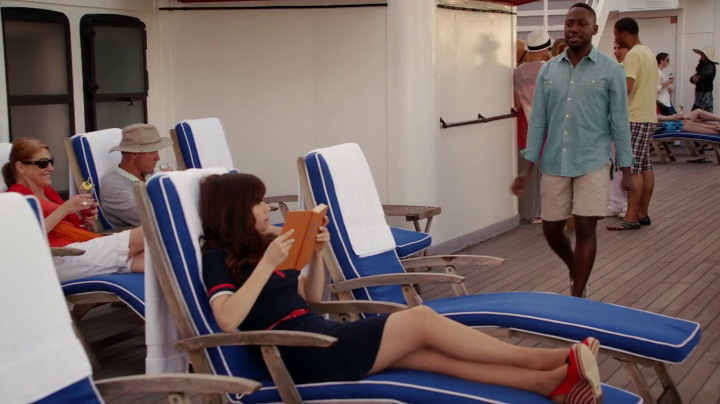 Zooey’s Hilfiger collection was presented in the middle of April, so placement in the last episode of New Girl was on-time and also very well integrated in the story that happened on a cruise ship. Zooey actually coined her own term to describe her line: “modical”, which mod + nautical. Even though I felt the whole product placement a bit forced I liked it. The collection is playful and it’s a perfect match for Jess. A fantastic way to introduce your new collection to your fans.